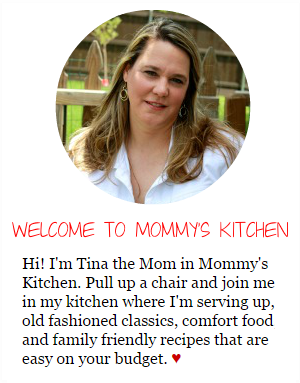 Mommy's Kitchen - Recipes From my Texas Kitchen: Huge Giveaway at Mommys Kitchen $500 Kitchen Aid Mixer & Simple Holiday Ideas. 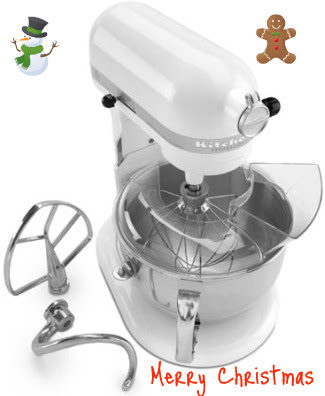 Huge Giveaway at Mommys Kitchen $500 Kitchen Aid Mixer & Simple Holiday Ideas. A Winner has been Chosen. Isn't she beautiful? Well today I am going to be giving you the chance to win this awesome mixer. First off everyone knows how crazy things can be during the holiday season. Well, Sam's Club has two ways to make things a little bit easier on you. First, I know a lot of you will be baking and cooking this holiday season, but you shouldn't have to do it alone. Why not let Sam's Club help you out. Have you been to Sam's Club lately? Well I have and they have so many holiday foods that would go perfect for any holiday gathering. Maybe you will be entertaining this season or just a quite family gathering, either one Sam's can help. They offer a "Holiday Made Simple Page" that has everything from Wine Pairing, How to video's on Holiday Baking, and a awesome Food & Entertainment Section. So you see there is a ton of information to help you out. Last month I was one of three privileged bloggers to take part in a conference call with Pat & Gina Neely from Down Home with the Neelys. They shared with us all their advice and secrets to fuss free holiday entertaining and a few recipe ideas. Pat and Gina explained to us how Sam's Club is their go to place for the holidays. Everything from appetizers, entrees to desserts. Taking ordinary items and putting that Neely spin on them to make them extraordinary. Click on the links above and you can see how Sam's can help you out this holiday season. My favorite section is the 10 Appetizers for Under $10 , now that's a great deal. Pictured below are just a few of the appetizers they have for less than $10. I can vouch for the potato skins they are really quite tasty and so quick to pop in the oven. The meatballs are a great deal as well. 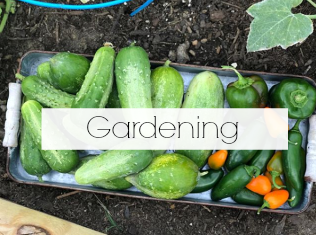 You can just add them to your favorite barbecue sauce or add some Heinz chili sauce and any jellied cranberry sauce and toss them in the crock pot for a quick appetizer. Do the same with little smokies, add a bottle of Heinz chili sauce and a small jar of grape jelly and toss them in the crock pot the same way. So you see there are so many possibilities. You can take one of your favorite recipes and just use one of Sam's food products to help you out. Thank you Pat and Gina for those quick little ideas. Everyone can use some help this holiday season. I stocked up on a bunch of appetizers on my last visit to Sam's Club. It's tradition to have finger foods and quick treats at my house on Christmas Eve. That way we have plenty of time to bake cookies for Santa. Speaking of quick treats lets not forget about dessert, my favorite part. Sam's has all sorts of yummy desserts either in the freezer section or in the bakery you cant go wrong with all they have to choose from. The Cheesecake Factory Cheesecake would be perfect, just open the box and serve it up or make cheesecake balls for another quick treat. Just use a small cookie scoop and scoop out the cheese cake and roll into balls. Then dip the cheesecake balls into melted chocolate. Place in pretty liners and add them to your holiday dessert tray. Everyone will think you went to a lot of fuss, but I wont tell. Also don't forget the beverages why not have lattes for your guests. I purchase all my Flavored Coffee Syrups at Sam's Club they have so many to choose from. Vanilla, White Chocolate, Caramel and more. Just warm your milk (cream), brew some strong coffee, and add your flavored syrups for a wonderful latte made at home. Who needs Starbucks, plus Torani syrups is the brand Starbucks uses. 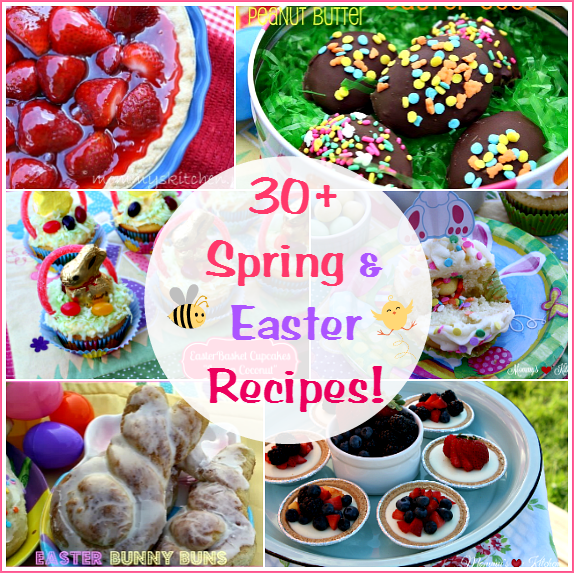 I am also including a few recipes to help you out. You can use your slow cooker to make a big batch of Gingerbread Lattes or a Decadent Pumpkin Spice Latte. If white chocolate is your thing I have a wonderful Copy Cat White Chocolate Mocha recipe. By using your slow cooker you can make a large batch and it can stay warm all at the same time and your guests can just serve themselves. 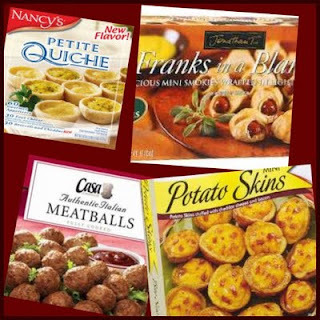 So you see entertaining is easy with just a few ideas and some items from Sam's Club. Now for the Kitchen Aid Mixer Giveaway! Everyone knows how busy you are going to be in the kitchen this holiday season. Well Sam's Club wants to help you out a second time. Sam's Club is giving one lucky Mommy's Kitchen reader a commercial-grade Kitchen Aid Mixer worth over $500! Can you believe that!!! I am a wee bit jealous, but happy for my readers. What a great Christmas present! You can get some pretty good holiday baking done with this bad boy. I have included a photo above of the Kitchen Aid Mixer and you can click here to read all about the features and specifics. See the details below on how to enter for your chance to win this great mixer. Mandatory Entry - Leave comment on this post telling me your favorite holiday appetizer. Friday, December 18th 2009 and announce the winner. The winner will have 48 hours to contact me . If I do not hear back then I will choose a new winner. Make sure to leave your email address if there is no other way to contact you. Disclosure: I did not receive any compensation for this post. I also did not receive a mixer of my own. Comments stated above are my own and have not been waivered in any way. I am just a big fan and a loyal shopper of Sam's Club. I would like to say a big thank you to Sam's Club for sponsoring this giveaway. I am a simple kinda girl...I love a meatball and sauce appetizer. I have a great sweet and sour sauce for mine that my family loves! Great ideas for the Sam's Club..I really need to renew my membership. I friended Sam's on Facebook!!! Added you as a friend on facebook!!! L love those little smokies and BB sauce...I have a small crock pot I mix them up in and I even use Jar BBQ sauce..
baked brie, meatballs, and fudge fudge fudge! I love a simple cheese dip made with 3 kinds of shredded cheese, mayo, minced onion, garlic and dried mustard, that it but oooo so good! My favorite holiday appetizer is crab dip. So good! I made Tangy Bacon Roll Ups(By Pampered Chef) and brought them to a holiday party and they were AWESOME and everyone loved them. I also made Pecan Praline Cookies (by Pampered Chef) and I had to email everyone the recipe. They were every yummy. I love using those italian meatballs and I add a jar of KC Masterpiece Teriyaki Sesame marinade (and fill the empty bottle with water and add that too!) Extremely fast; super easy. They are my go to appetizer for parties and family get togethers. Heat it in a slow cooker and munch. These are also good as a meal served over rice. My favorite is spinach artichoke dip. I LOVE pigs ina blanket. Classic, simple, totally delicious! Garlic spread....on anything! lol I'm a fan on facebook and a follower too! Love your site! Attached your blog link to a my facebook acct. 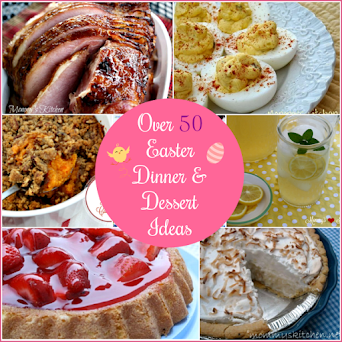 I am a follower and my family loves a lot of your recipes. Thank you!! 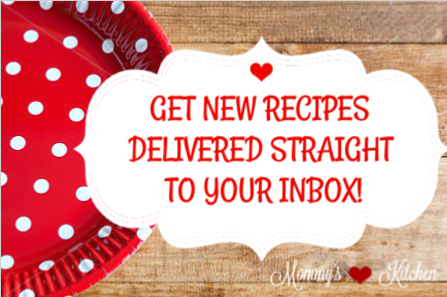 As a new stay at home your blog has made meal planning easy for me..THANK YOU!! I love baked brie with cranberry chutney inside...with some french bread..or crackers. Also I love a nice cream cheese ham ball with crackers..
My favorite appetizer is Hawaiian bread and spinach dip! My favorite holiday appetizer is definitely spinach dip! love everything and would love to have this mixer. my arm is about to brake off from all of the stirring. i make peanut butter cookies with chocolate kisses. so quuik and easy. thats all mix together bake for 13 minutes on 350 on a well grease cookie sheet. when you take the cookies out put a kiss on top. Just posted the link to your blog/contest on my facebook page! Thanks so much! I hope I win!!!! My favorite is also the meatballs and smokies with grape jelly and BBQ sauce. This year will try out the cranberry sauce. Also, spinach dip is a favorite of mine. I friended Sams on facebook and am posting you site again on my wall. I've done this a couple times already. I love any type of cheesy dip. My new favorite is a dip that has jarlsberg cheese and onions. I became a follower of mommy's kitchen. I just sent my friend request to you on Facebook. I love your site!! It's been a tradition since my childhood, to have shrimp cocktail with a sweet sauce my grandmother made. At our house, we have lefse, chunk-o-cheese bread and my uncle's famous taco dip for appetizers! I love little smokies in bbq sauce during the holidays. I love shopping at Sam's club!! I became a fan of Sam's Club on Facebook! My husband and I make a Mexican Cheesecake (which is a layered cheese dip) and it always goes very quickly. Italian breadsticks, buttered, sprinkled with parmesan and wrapped in prosciutto. just posted to my facebook about you blog and contest...so excited.. Okay, i'm leaving a comment on here, already left one on facebook, already your friend on there, follow your blog, about to become a fan of Sam's, but dont tweet. Mabye i'll still get lucky. Thanks for the giveaway! I like spinach dip in Hawaiian bread. Mmmmm! I love Lil Smokies in Yoshida's sauce...which btw can be bought at Sam's Club! My favorite holiday appetizer is ham rolls with cream cheese! I absolutely love them. I love little smokies wrapped in bacon and a little brown sugar baked on them. DELICIOUS!! We can not let a single holiday go by without making sausage balls! The family loves then and they are always gone by the end of any party! You have been friended!!! I love facebook friends! Sam's I wish you were closer to me!!!! Added on facebook! Our favorite holiday appetizer is Wonton Sausage and Cheese cups. We love them. Our friends demand that I bring them to parties even it we're not going to attend! Plain Jane kind of girl here....nothing beats a yummy cheesy hot bean dip!! Tina, all of my family, even the picky ones, love my roast beef crostini. Toast thin baguette slices, brushed with olive oil, top with spicy mayo, thin sliced Boars Head London port roast beef, then a thin slice of your favorite white cheese (I used emmenthauler) Really yummy. I love appetizers but I guess my favorite is spinach and artichoke dip. Thanks for the great giveaway!! My favorite has to be a hot cheese dip served with fresh baked bread! My favorite appeitzer is a brick of cream cheese with either a sweet chili sauce poured over it and eaten with crackers or Cream cheese with cocktail sauce and shrimp eaten with crackers. SO GOOD! My favorite appetizer to make (and eat!) are the little smokies wrapped in bacon and baked until crispy~ always a big hit! Also, the family loves homemade chex mix~ makes my mouth water just thinking about it! My favorite appetizer is meatballs with a grape jelly/chili sauce mix! I follow your blog and love it!!! I know this sounds funny but the one thing I can't stay out of is pigs in a blanket. I have loved them for as long as I can remember. I beg my sister in law to make them whenever we have a finger food night! My kids love them too....it doesn't get any better then that little sausages and cressant rolls!! I am a fan of Sam's on Facebook!!! Holiday Bacon Appetizer from PW!!! For the past two years, I am the custodian of the Barefoot Contessa guacamole recipe paired with homemade tortilla shells... very healthy and delicious... Served in my green cabbage bowl and platter. Fan of Sam's on FB now! And I shared it with all of my FB friends! I love pigs in a blanket. I noticed that these can be purchased from Sam's Club now. I am so excited. Now it is simple and quick so that I have more time for other things. I love the meatballs in grape jelly/chili sauce. I buy the frozen meatballs and just put it all in the crock-pot. My favorite is the bacon wrapped little smokies! Yummo! My favorite holiday appetizer is a veggie pizza! Crescent roll crust, covered with seasoned cream cheese, and topped with plenty of raw veggies and cheese! YUM! What a fantastic giveaway! Thanks for the chance! My favorite appetizer at Christmas is smoked salmon dip with pita chips. YUM! What a GREAT giveaway!! our favorites around here are of course meatballs & lil' smokies - recently I tried a Christmas tree made from cream puffs!! (I think I need a little more practice - my tree was short & fat) working on that!! I know it's more of a dessert but.... it NEVER lasts that long!! :) Added You and Sam's on facebook & sent links to friends!! Oh, how exciting! I'd love to win. One of my favorite appetizers is a cheese ball and crackers. Yum!!! meatballs with Cattleman's BBQ sauce - so easy so yummy! Favorite appetizer is Tomato Basil Squares, it's a Pampered Chef recipe but so easy, rolled out pizza crust, a garlic mayo sauce topped with thin sliced roma tomatoes and mozzarella cheese, it's always gone in a flash! What a GREAT give away!! Love your recipes!! our favorite around here is meatballs & lil smokies - recently tried a Christmas tree made from cream puffs!! (sounds like a dessert but is always gone beforehand so.... it's an appetizer:) added you and Sam's on Facebook & sent link to friends!! Added you as a friend on Facebook. My favorite appetizers are anything easy... which tend to be the most delicious as well! But most of all... I LOVE meatballs in BBQ sauce. Super easy to throw in the crockpot and keep steamy! And finallly... I subscribed to get email updates of your blog. Can you tell I want to win this mixer? :) ha! Our family favorite appetizer at Christmas is always Sausage Balls. Easy and delicious...had them on Christmas Eve for many years. Bisquick, Hot sausage, and cheese...how can you go wrong with that! For the holidays we almost always have bacon wrapped smokies or smokies wrapped in a strip of crescent roll with a bit of cheese...yummy! Sent your link to friends on facebook! My favorite appetizer at the holidays is the spinach dip served in a bread bowl. I could eat the whole thing myself. Yummy!! I would SO love that mixer! I think my favorite holiday appetizer is pineapple wrapped in bacon. Or orange sticks. But I have a feeling those cheesecake balls would give either of them a run for their money! Bacon wrapped pineapple is my new favorite appetizer. 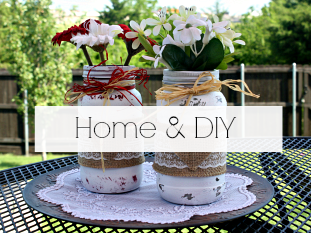 They are quick and easy and everyone loves them! Cheese ball with strawberry preserves on top. Yummy!. Friend of Sams, follower of yours. I love all your posts. I love Buffalo Chicken Dip! It is a staple at family gatherings! I became a fan of Sam's Club. Yay! I love Sam's Club!! Friended Sam's on FB! Love me some Sam's! My grandma's meatballs and black bean salsa. Yummy!! I love your blog, your recipes are great! Post your link on FB! 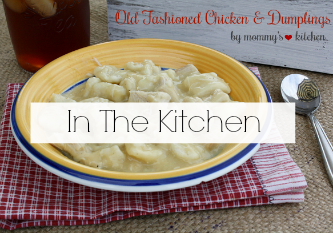 Love simple, down home comfort food with a twist! I became a follower of your blog. Pick me pick me :) My favorite appetizer would be fruit dip made with marshamallow creme. OH yummy then dip fresh strawberries. Yes, I think that would be my favorite. Our favorite is the lil' smokies and bbq sauce. I've never heard of putting grape jelly in with it! Definately have to try it! Hello, I just found you by googling apple butter. Love your site and you are in the hometown, wow. My favorite appetizer, cream cheese/rotel/saugage/cilantro mixture, an upgrade from the rotel dip. My favorite appetizers is a light crab spread on fresh baked bread using pampered chef recipe and bread tubes. Great give away! My favorite appetizer is tortilla roll ups and pumpkin spread. Merry Christmas! OK, so I am a follower, and have already friended you on fb. Don't know if that counts. Just became a fan of Sams on FB. Thanks for the chance. Good Luck Everyone. My favorite appetizer is taco dip! Halved jalapenos boiled, filled with cream cheese & cheddar. Wrapped with bacon & baked til crispy. I also LOVE Sam's baked potatoe skins too! I subscribed to your site. I love it by the way haven't been reading long just found you a couple of weeks ago..already trying some recipes of yours on the menu for the next couple of weeks! I am now a fan on facebook of Sam's Club! My family loves something we call "Corck Pot Weanies". Pieces of hot dogs, each wrapped with bacon. These are simmered in the crock pot in a sauce of brown sugar and spicy mustard. I added you as a friend on my facebook! Nice to meet you! I became an email follower... I really need this kitchen aid. I want to learn to make bread and this would be a HUGE blessing. I added a link on facebook mentioning your AWESOME giveaway. Thanks so much for the chance! I am already your friend on Facebook. Just became a fan of Sams Club on facebook. Just sent you a friends reguest on facebook! bacon wrapped pineapple is a favorite appetizer around here. Great info in your post. I'm a pretty simple eater. I love a good 'ol cheeseball with crackers as an appetizer. And you know how sometimes kids are picky about 'what's in it', I know my kids will also eat this too. Makes it an easy choice. I don't know what the name of it is, but it's a bacon and cheese spread that is baked in the oven in a bread bowl. It is amazing! I make my little smokies the same way but with grape jelly & cocktail sauce. Everyone loves them & can’t believe what the sauce is made of. Another family favorite is Beaumonde bread. Which is French bread stuffed with ham lunchmeat & swiss cheese. Then drizzle a mixture of yellow mustard, melted butter, & beaumonde seasoning over the top & bake. This goes really fast. My favorite appetizer is Little Smokies. I became a fan of Sam's. I also subscribe to your blog via Google Reader. I love a soy sauced soaked water chestnut wrapped in bacon, or anything wrappedin bacon! What a great giveaway!!! My favorite app is a simple relish tray...specifically green olives. I don't know if that really counts as an appetizer, but it is my fav! We always make stuffed mushrooms for an appetiser at Christmas, also spinach artichoke dip! yummy! My favorite is roasted red bell pepper hummus and homemade pita chips. Not only good but good for you too. I love a good warm spinach or artichoke dip. YUM! I'm so excited about the kitchen aid! I just added you on facebook! And I added Sam's Club on Facebook too! And I added this link to my facebook status! I just become a follower too! My favorite is pigs in a blanket. YUM!! Pigs in a blanket and little spinach quiches! Yum! Hello! I am a fan of this mixer. Hello! I am a fan of Sam's Club. Love shopping there and using their website! I really want this Kitchen Aid!! Hi! I am a follower of yours...I get your blog entries (yum) through my RSS feed on Google. OOps, I forgot on my first post to say that my favorite appetizer is spinach dip. YUM. My favorite appetizer has to be something like spring rolls or cheese sticks. When in comes to appetizers, I am definitely a fan of the fried variety! I love bacon wrapped brown sugar smokies.